Number two is officially complete! I had a couple of weeks off work over Easter and was able to snag a day or two in the shed, meaning I was able to put the finishing touches on Tilly’s Rainbow Fish. 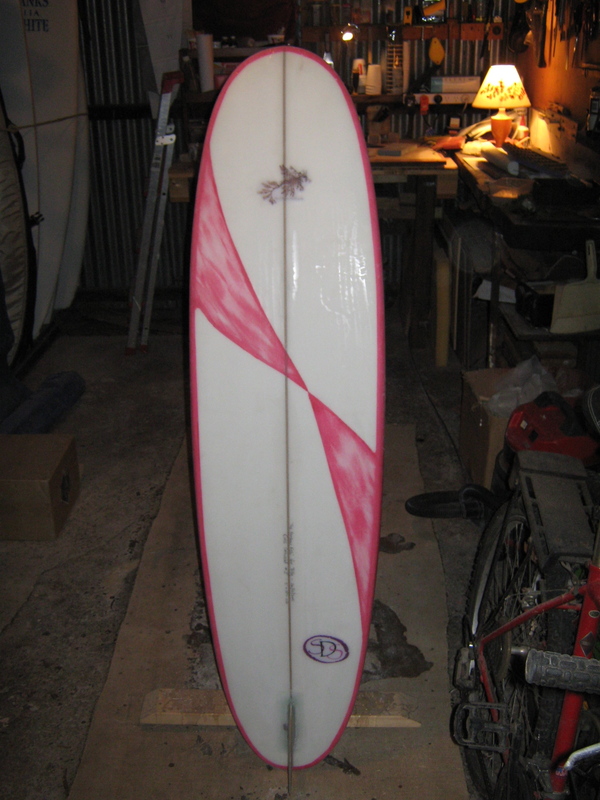 In another first for me, I made the fin for this board, from plywood and fibreglass. It was not difficult, but required a considerable amount of concentration when adding the fine touches to the foil. I sanded through the glass completely at one point, but a quick dash back into the shed and a couple of minutes with resin and brush and it was as good as new. 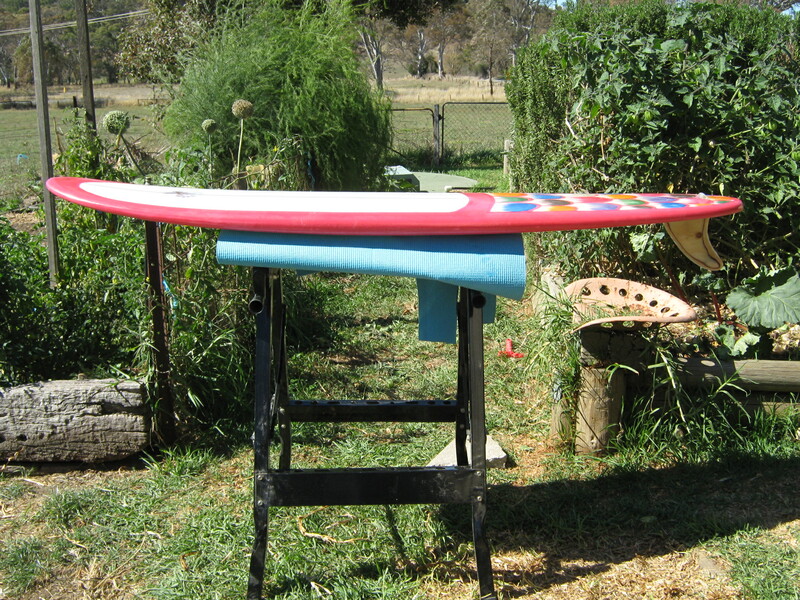 Once I’d fixed it onto the board, it was just a matter of letting the sun do its work, then adding a hotcoat and sanding. 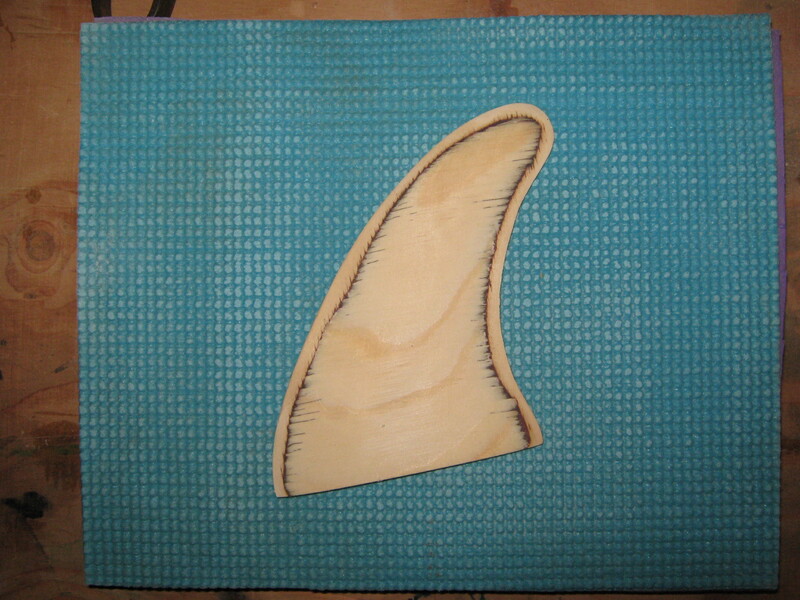 I was more confident of my sanding technique this time, having done the research on Swaylock’s, so it took way less time than the last board, which I did all by hand. I’ve posted more photos on the Baby Egg experiment page, so feel free to check them out. Now I’ve started back on Tom’s big daddy egg and I’m up to the rails. I spent a couple of hours focussing on the nose last night and I’m really happy with how it’s progressing. I’ve taken some photos and will post them as soon as I’ve uploaded them off the camera.